I'm excited to share two brand new cards in the Vitamini line! First up, inspired by my trip to Ireland last fall, the Sláinte! card. Sláinte! (pronounced slahn-cha) is a traditional Irish blessing - say it to your loved ones over a pint of Guiness to wish them good health! The illustration features a rocky hillside castle (complete with sheep! ), a shamrock, a creamy pint of Guiness, and some neolithic swirls. 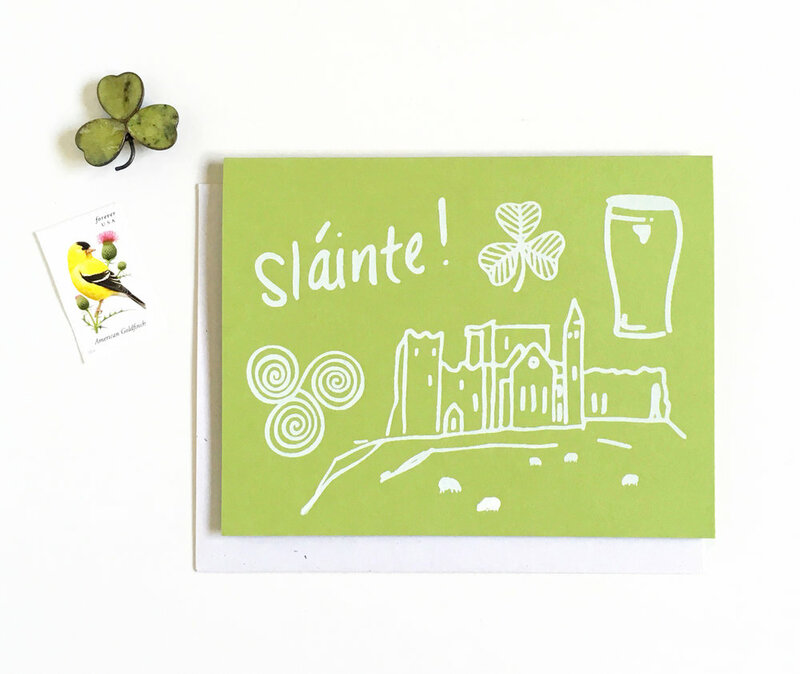 A prefect greeting for St. Paddy's Day or any other day when you want to send a little luck of the Irish through the post. Find the Sláinte! card in the shop here. Mother's Day is coming up! Sweet and simple, this card features a blooming Morning Glory vine with deep green heart-shaped leaves. Find the Floral Mother's Day card in the shop here. 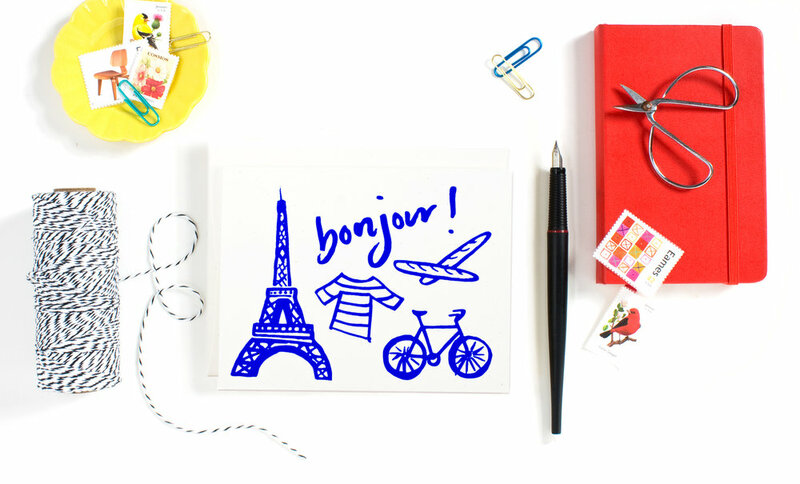 As always, all of the Vitamini greeting cards are hand screen printed in the Monterey Bay with eco-friendly water based inks on premium French Paper - an American paper company operating on hydro-electric power since 1922! How cool is that?